Holiday makers no longer have to rely on memory and flat videos to describe their favorite travel destinations. Equally, those afflicted with wanderlust no longer have to rely on a friend or agent’s spotty description of a location before travelling. Virtual reality technology can transport armchair travelers instantly across the world through a simulated experience. Vostok VR immersed potential travelers in ten different countries in the largest 360 video production to date. 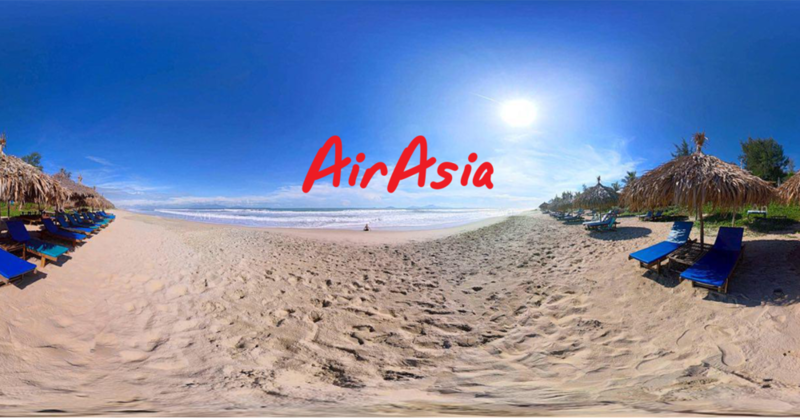 The 360-degree videos of AirAsia flight destinations were created to celebrate ASEAN’s 50th anniversary. To complete the project, Vostok VR filmed 20 clips and 300 final scenes in 23 separate cities over the course of 13 filming weeks. Two helicopters, 30 drone shots, five ziplines, three hot air balloons, and three paragliders captured purely breathtaking moments of well known and off the beaten track destinations. The virtual reality production company used diagonal mounting of cameras on carbon fibre poles to capture smooth and stable movement over land and water. This special mounting technique eliminated an unviewable area under the equipment that is almost unavoidable using traditional filming equipment, like immobile tripods and ground-based cameras. The hovering technique was specially developed by the Singapore-based virtual reality production company after extensive travel industry film experience. As an industry first in term of project scale, the production required the establishment of framework and policies. Extensive project management and substantial coordination with each country’s tourism board was necessary. Vostok VR sought and acquired several rare and tough first time government approvals, including permission to film balloons over the ancient city of Bagan, film within the temple complex of Angkor Wat, fly drones over Su Pan Village in SaPa, Vietnam, and showcase exotic cars on public streets in Singapore. Over 2.5 million viewers were exposed to the campaign on YouTube. More than 8.7 million views were garnered on Facebook, with 30,000 shares and 150,000 likes. Approximately 300 news items about the campaign were published in 14 different languages. Within the campaign’s design was an element of reusability. AirAsia regional offices were provided twenty marketing clips to align with country-specific promotions.